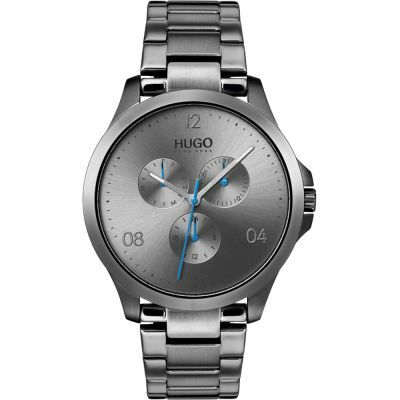 HUGO Risk 1530034 is a practical and handsome Gents watch from RISK collection. 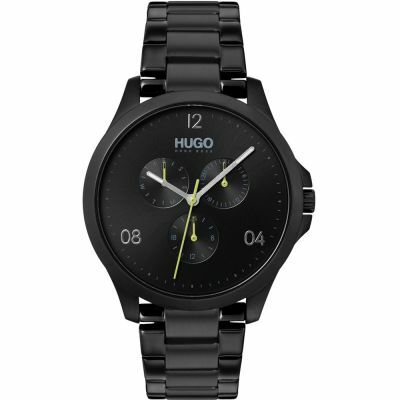 Case is made out of Black Ion-plated Steel and the Black dial gives the watch that unique look. In regards to the water resistance, the watch has got a resistancy up to 30 metres. It means it can be worn in scenarios where it is likely to be splashed but not immersed in water. It can be worn while washing your hands and will be fine in rain. We ship it with an original box and a guarantee from the manufacturer. HUGO watches speak the language of self-expression fluently. They are about individual accents that reflect wearers’ uniqueness, losing nothing in translation. Opportunities replace rules in designs with attitude for wearers to match. Originality is the common denominator of a broad spectrum of eye-catching designs with some teasing twists. 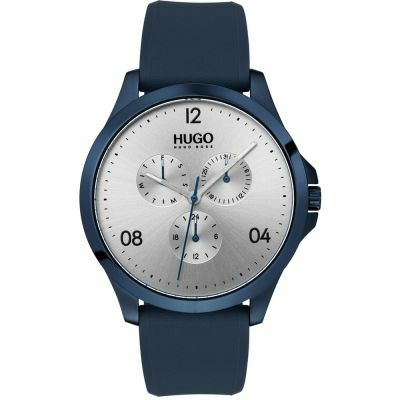 These timepieces are the ideal accomplices for up-to-the-minute lifestyles where comfort zones rarely appear on the map. Personality is not negotiable. 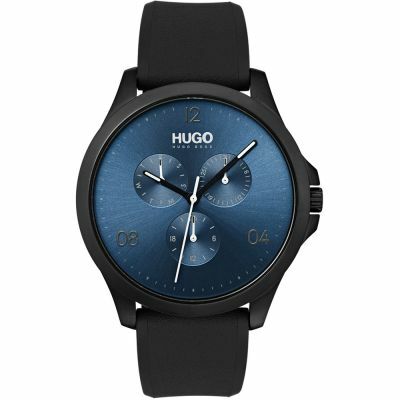 Watch Shop is an authorised HUGO stockist.